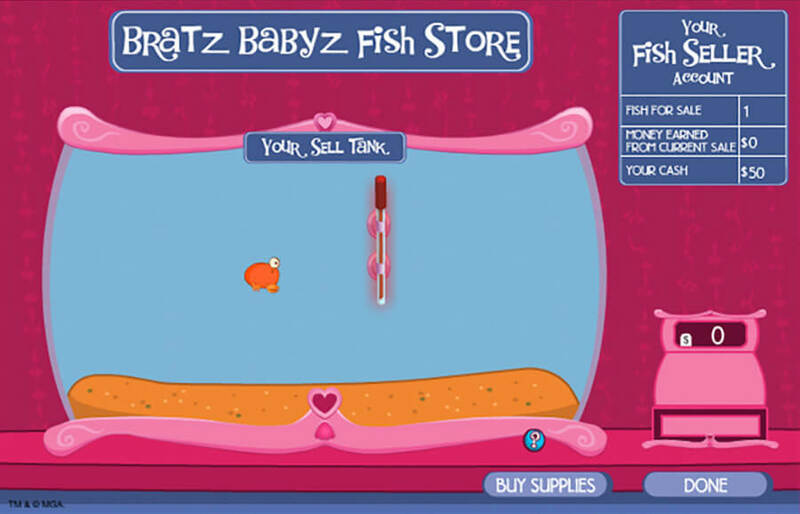 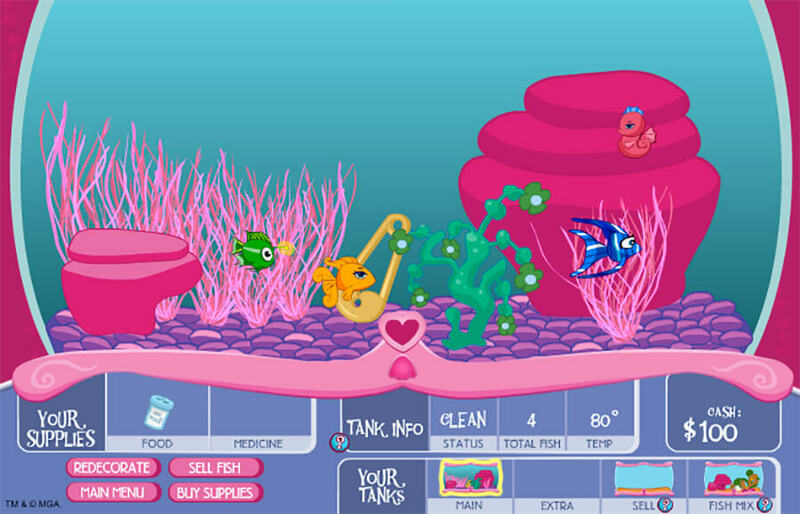 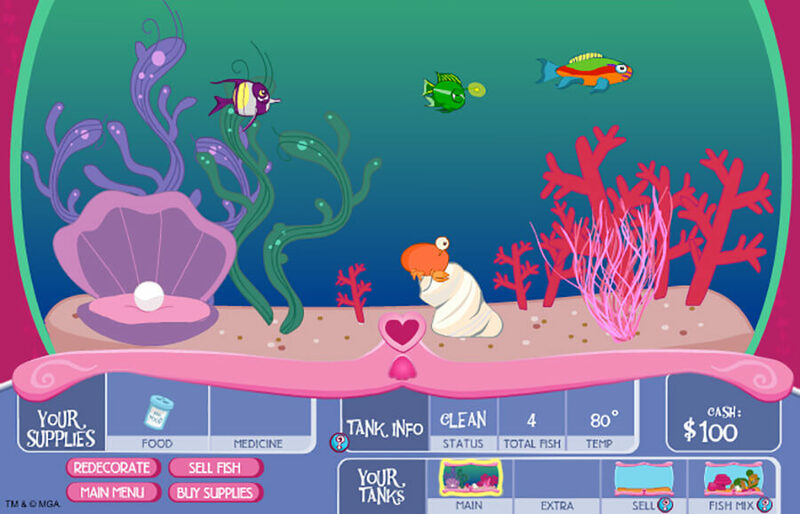 Bratz engaged EKR’s creative and development teams to create a virtual fish tank game as a marketing vehicle for its “Babyz” product line. 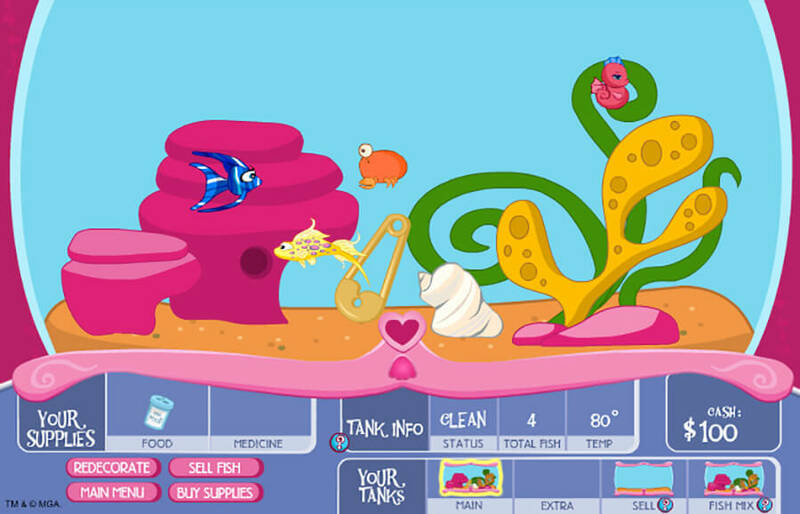 Over the course of the next five years, the game was the most popular piece of content on Bratz.com. 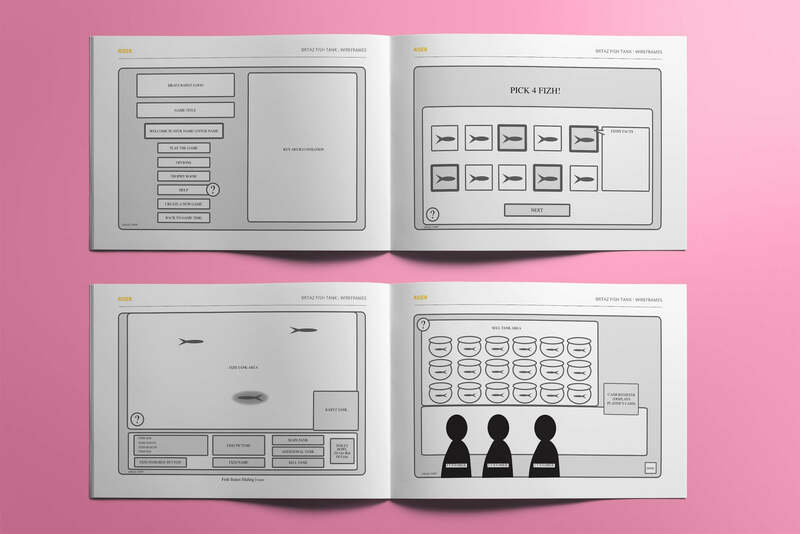 EKR’s creative team ideated the game concept, architected the mechanics and produced an engaging piece of content. 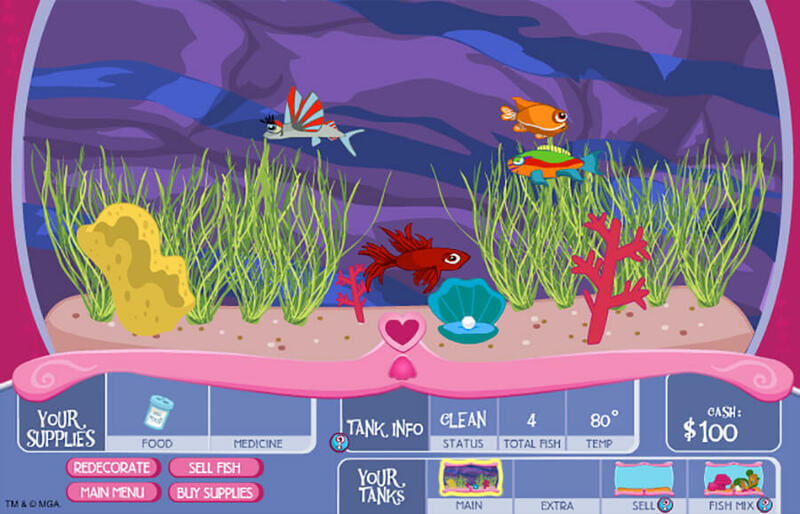 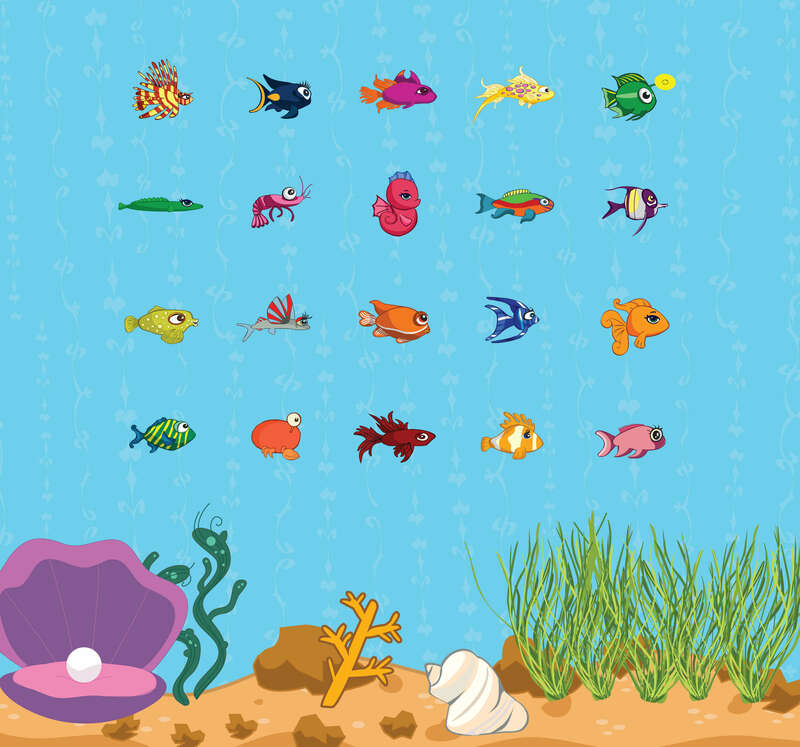 Users create a virtual fish tank complete with custom decorations and colors. 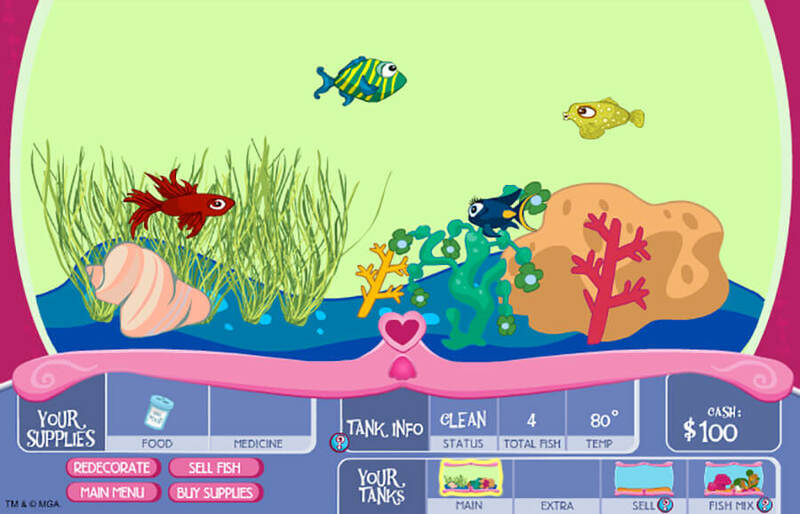 Fish are then chosen from the fish store and added to the tank. 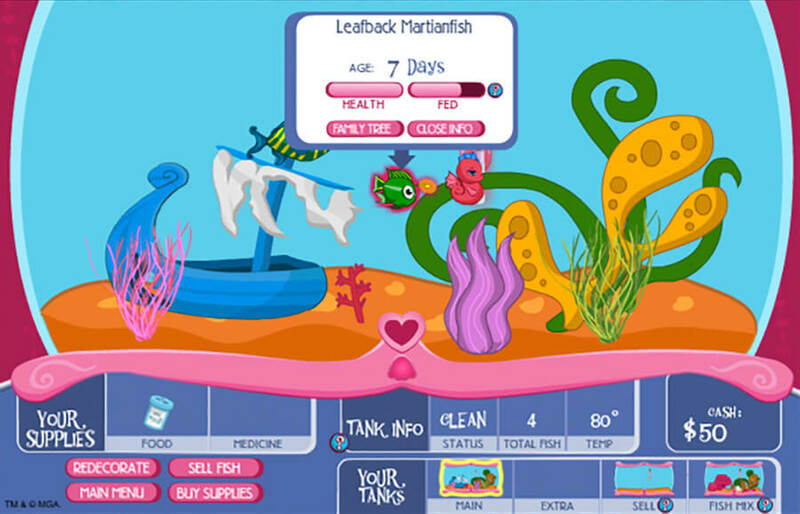 Come back often! 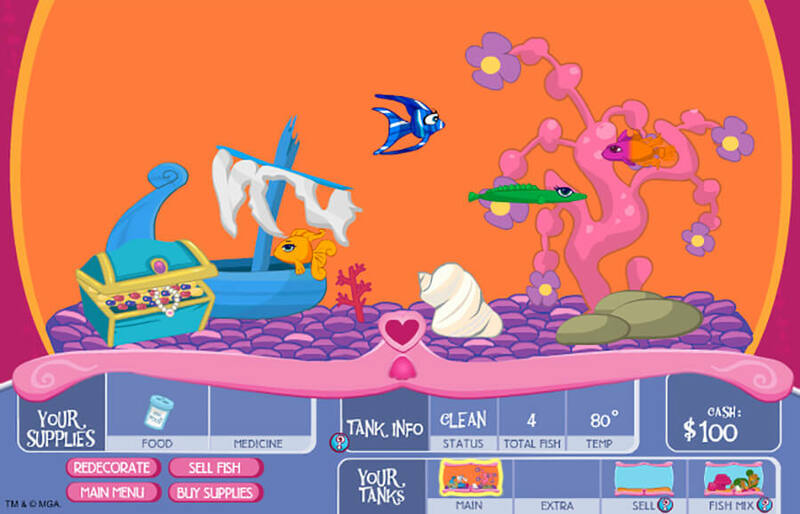 The game tracks time (even while you are not playing), and game players must keep their tank clean and their fish fed. 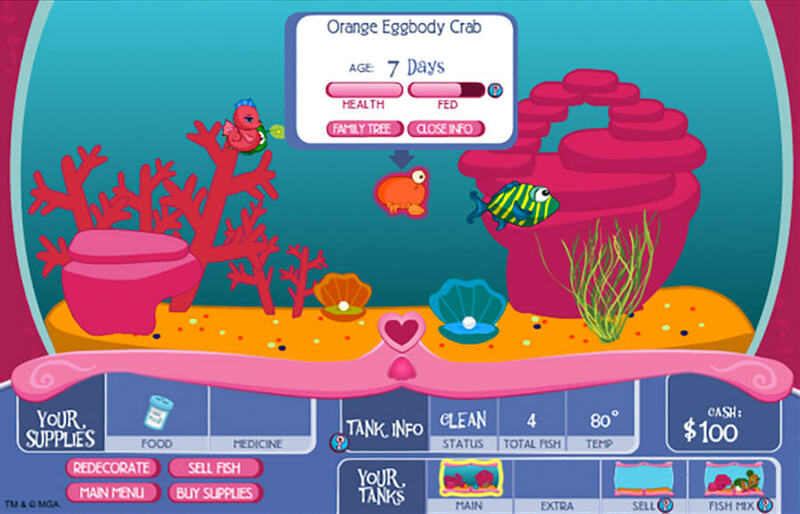 At the start of the engagement, EKR’s creative team established the game features and mechanics. 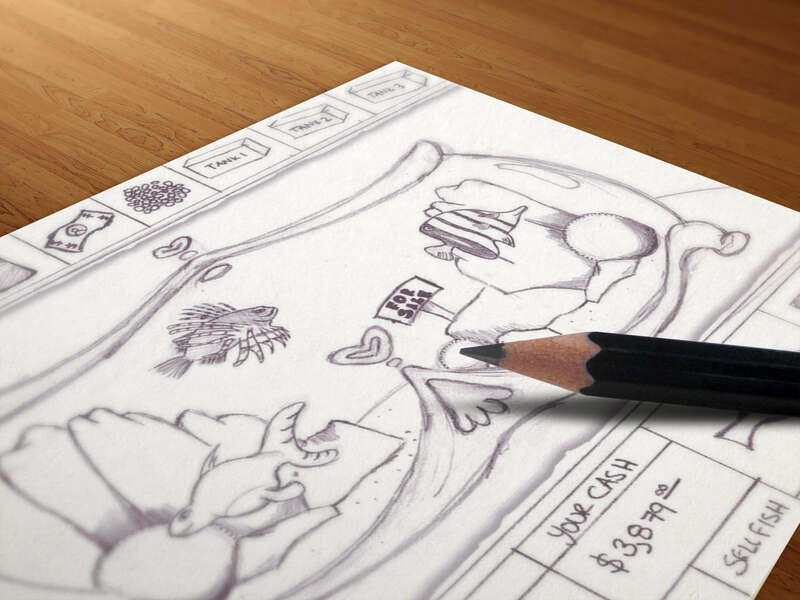 Following approval of the proposed feature set, the designers went to work on creating concept sketches and wireframes to organize the user interface. 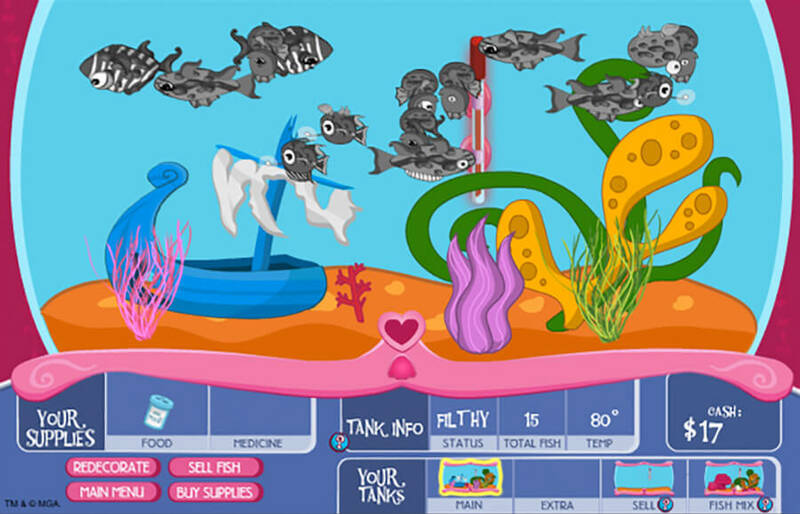 Dozens of fish, tank decorations and supplies were custom illustrated by the EKR team. 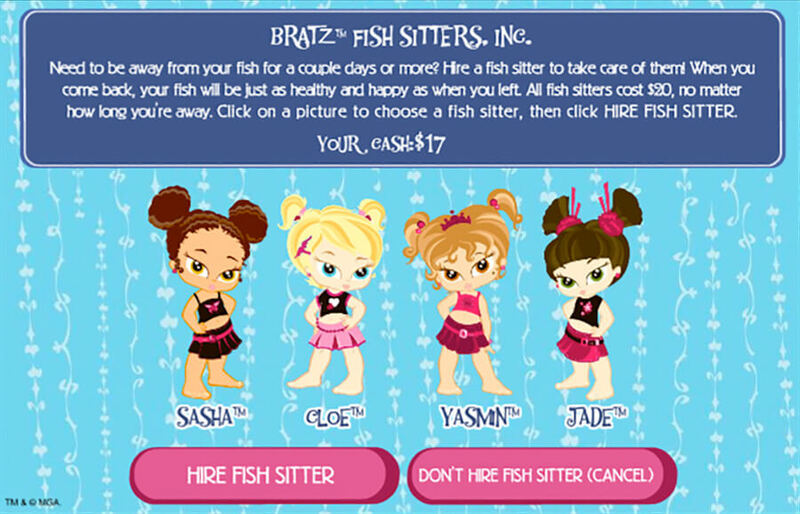 Each illustration was created in harmony with Bratz branding standards. 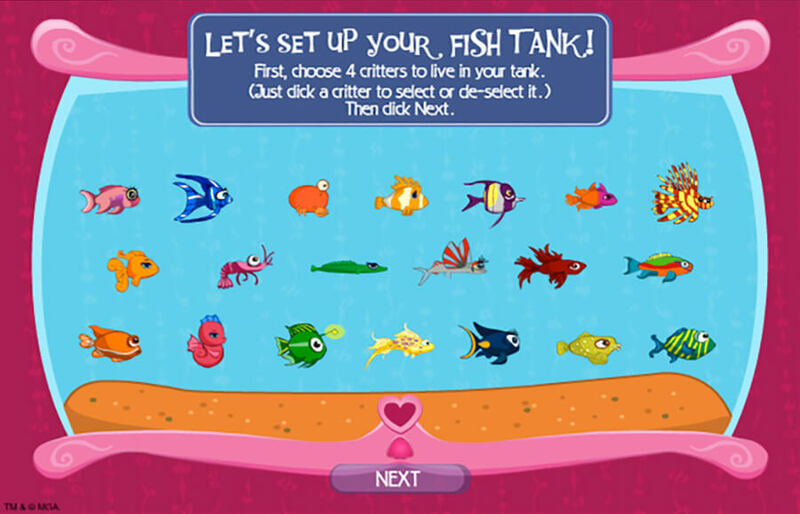 Limitless tank designs can be customized through the game interface. 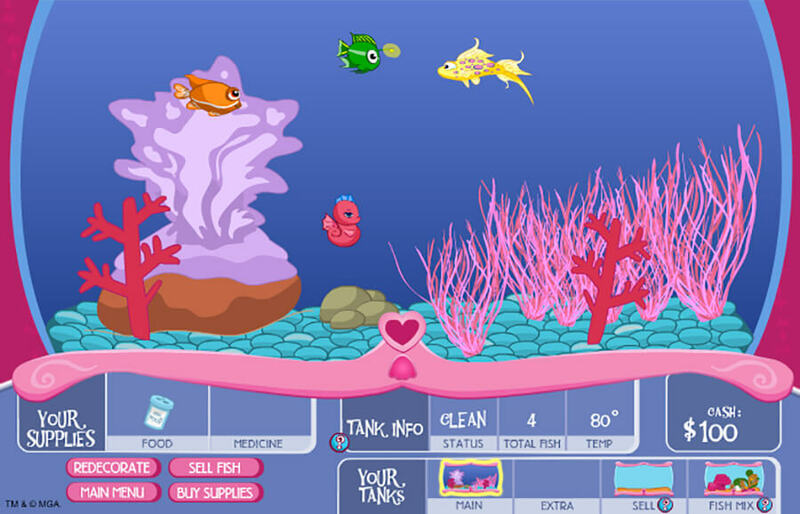 Users have complete control over decoration elements and colors of tanks. 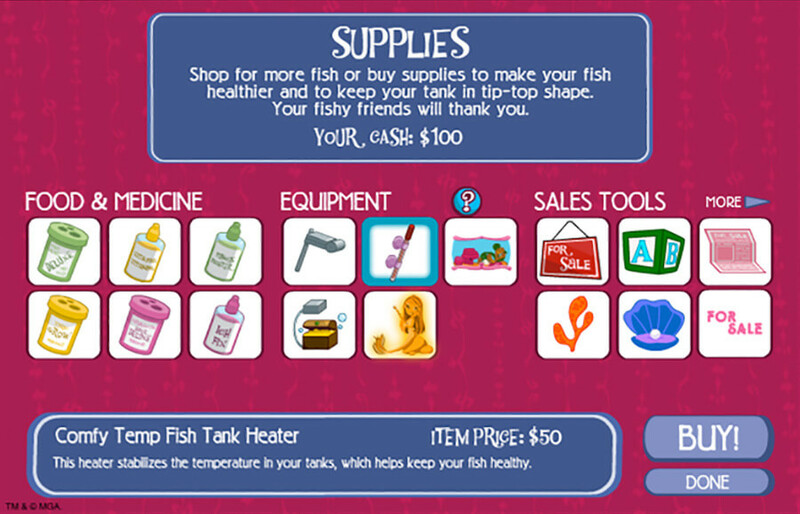 Additional supplies can be purchased in the virtual store included within the game mechanics. 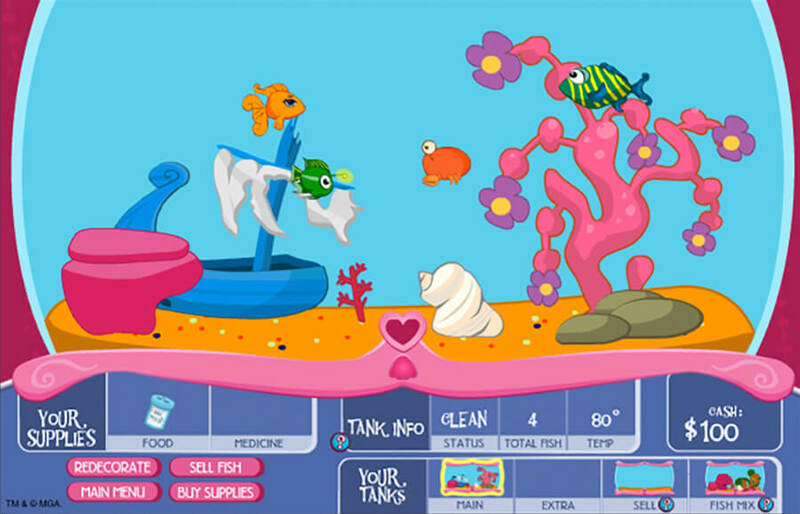 The game engine was programmed by EKR’s development team using Flash ActionScript as the coding and deployment platform. 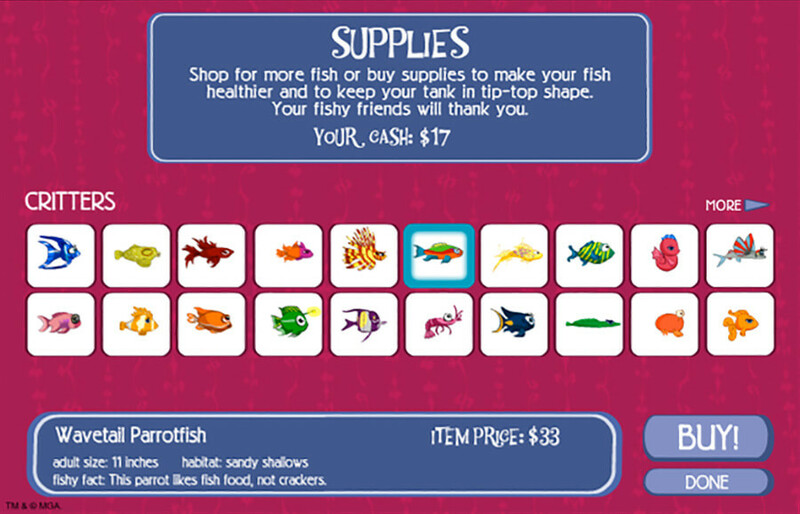 Raise your fish, sell them for money and buy supplies to enhance your game. 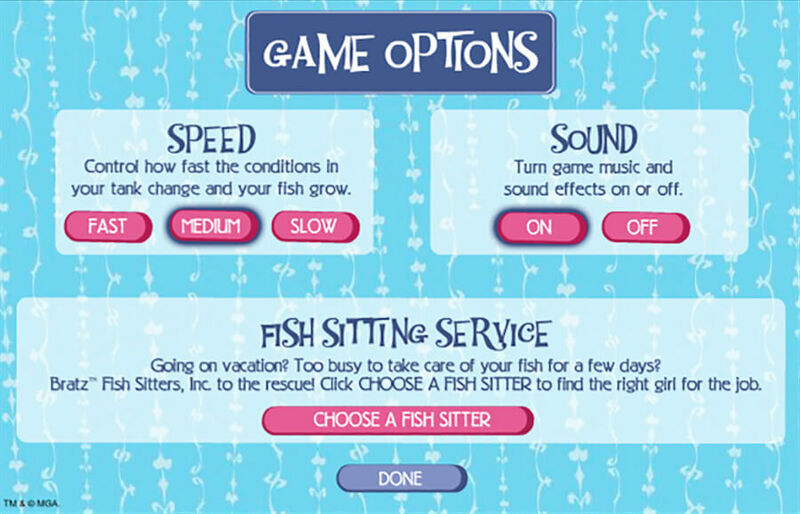 All of these features were custom programmed by the EKR development team. 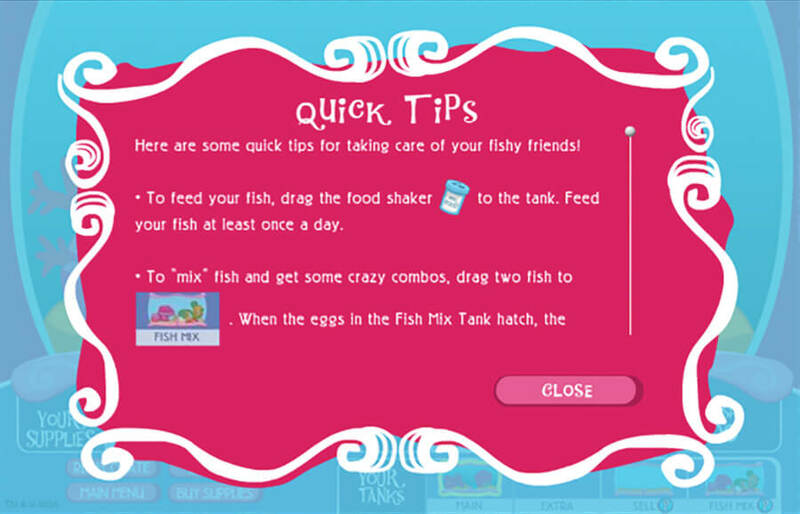 Place two fish in the “Fish Mix” tank, wait a few minutes and an egg will appear on the bottom of the tank that will hatch a new baby fish with combined attributes of the parents. 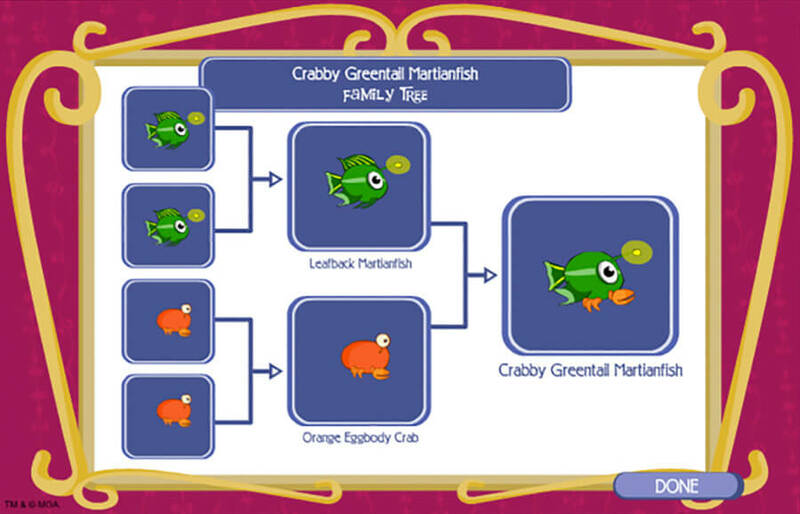 Users can view the pedigree chart of each fish. 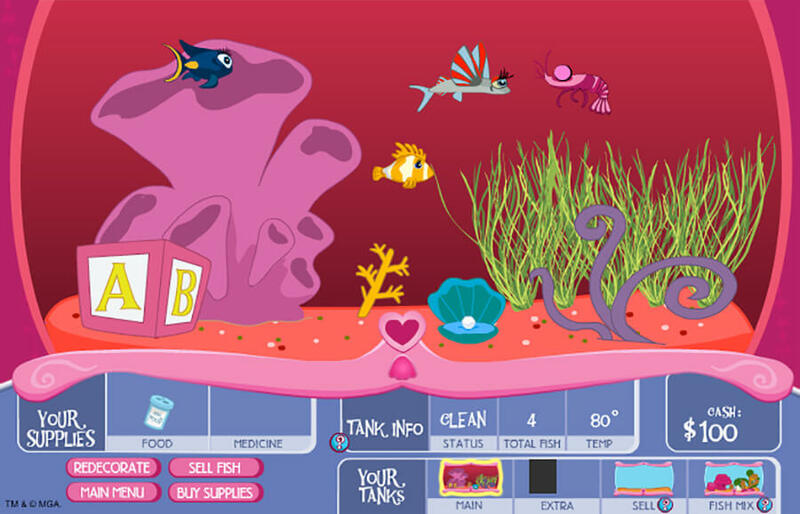 The game’s virtual reality experience operates in such a way that if the game player neglects their fish for too long, they will “pass away.” Consistent with reality, dead fish are flushed down a virtual toilet included in the game play mechanics.